Nickelodeon Commissions Third Season Of "Every Witch Way"
Just Jared Jr. is reporting the very exciting Nick News in the following article that Nickelodeon has announced that the number-one entertainment brand for kids has ordered a brand-new third season of the networks hit fantasy television series "Every Witch Way"! In "Every Witch Way" season three, the summer's almost over and the kids of Iridium High are enjoying the beach and their time off school. Diego Rueda (Tyler Alvarez), Daniel Miller (Nick Merico) and Emma Alonso (Paola Andino) are working at The Beachside Seven, the gang's new hangout where Maddie Van Pelt (Paris Smith), the Panthers and Andi Cruz (Daniela Nieves) hang out. Meanwhile, Jax Novoa (Rahart Adams) is stuck attending Rebel's Boot Camp, where he meets a mysterious troublemaker, Mia, a rebellious witch with a short temper, impulsive nature, laser sharp magic skills... and a thing for Daniel. Additionally, Nick USA will premiere and show the one-hour season two finale episode of EWW on Friday 8th August 2014! 'Every Witch Way' Renewed For Season 3 (JJJ Exclusive)! Exciting news everyone — Nickelodeon’s Every Witch Way is coming back for a third season! The summer’s almost over and the kids are enjoying the beach and their time off. Diego, Daniel and Emma are working at The Beachside Seven, the gang’s new hangout where Maddie, the Panthers and Andi hang out. 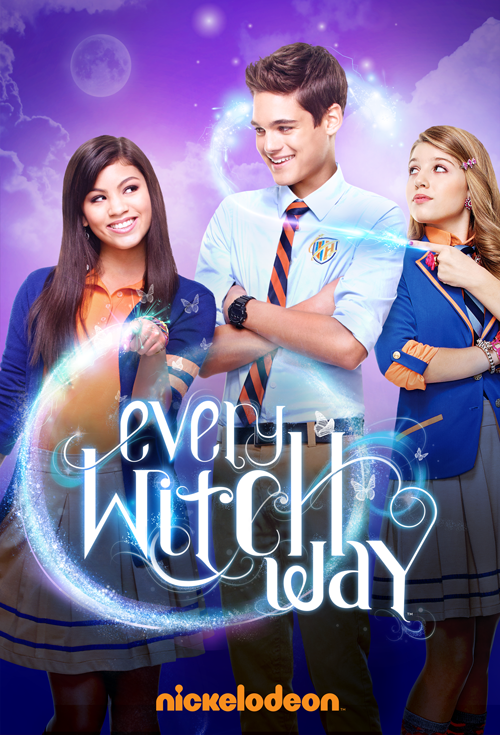 Every Witch Way, starring Paola Andino, Paris Smith, Nick Merico, Tyler Alvarez, Daniela Nieves, Denisea Wilson, Rahart Adams, and Autumn Wendel, will wrap up season two with a one-hour finale on Friday, August 8th. ARE YOU EXCITED about more Every Witch Way? Nickelodeon USA has announced the exciting Nick News on their all-new official "Welcome to the Wayne" website that Nick USA will start to premiere and show the networks brand-new digital series "Welcome to the Wayne" on their new look official website, nick.com, and on the Emmy Award-winning Nick App very soon! Following the premiere, thought to be on Monday 4th August 2014, nick.com and the Nick App will continue to roll out new episodes weekly every Monday. "Welcome to the Wayne" is a brand-new animated comedy series following the adventures of Olly Timbers and Ansi Molina, two ten-year-olds, while they explore their wild and wacky apartment building, The Wayne. Will they survive this unbelievable afternoon? Join along for the ups and downs of their budding friendship — and narrow escape from the clutches of the Spy from apartment 8-I — as you get to know the endless, unpredictable world of the Wayne and its rather... unique tenants. Created and written by Billy Lopez ("The Wonder Pets! "), Nickelodeon picked up the series for six 30 minute episodes in September 2013. To celebrate and promote their brand-new web series, Nickelodeon USA's official "Welcome to the Wayne" show website, nick.com/welcome-to-the-wayne, features a 'About' area featuring information about the show, a 'Meet the Characters' section featuring bios of for each of the characters in the series - Olly Timbers, Ansi Molina, Saraline Timbers and Leif Bornwell III - plus a online streaming video clip featuring Nick USA's official trailer/promo for the networks brand-new show, a mini-poll and Nickelodeon's official message board/forum, where fans can talk about the new series! Follow NickALive! on Twitter, Tumblr, Google+, via RSS, on Instagram, and/or Facebook for all the latest Nickelodeon and Welcome to the Wayne News! Nickelodeon Movies and Paramount Animation have today, Thursday 31st July 2014, released their first trailer for their upcoming brand-new "SpongeBob SquarePants" movie, "The SpongeBob Movie: Sponge Out of Water", which you can watch in the online streaming video below! Nick and Paramount's first-look at "The SpongeBob Movie: Sponge Out of Water" introduces viewers to the plot of the second "SpongeBob SquarePants" movie. Additional sources: The Wrap, Entertainment Weekly's Inside Movies, TheCelebrityCafe.com, The Hollywood Reporter, Licensing.biz. Ever wanted to be part of Nickelodeon's Team Nick gang at Nickelodeon Land at Blackpool Pleasure Beach? Now's your chance! The Blackpool Gazette is reporting the very exciting news in the following article that singers, dancers and actors are all invited to an open audition call on Thursday 31st July 2014 to join Team Nick, Nickelodeon's ambassadors at Pleasure Beach, Blackpool, where they'll make friends with Nickelodeon Stars, such as SpongeBob SquarePants, the "Teenage Mutant Ninja Turtles" and "Dora the Explorer"! The Pleasure Beach, earlier this month named the best amusement park in the UK by website TripAdvisor, welcomes around 7.8 million visitors each year, and Team Nick manager Jason Taylor says his staff need to be ready and willing to meet every single one of them. As well as the Nickelodeon characters, Team Nick has a daily show, and 'meet and greet' or 'clap and wave' sessions with the Pleasure Beach's own characters and family favourites "Wallace and Gromit". Auditionees don't have to have performance experience, so long as they have confidence in front of a crowd and can entertain. With full and part-time work available, the job is ideal for college students – although there is no upper age limit. Team Nick members have to be aged 16-plus. The audition starts at 2pm at the Pleasure Beach Arena dance studio. Whether you're a cowabunga dude or ready for an adventure with Dora the Explorer, Blackpool Pleasure Beach's Team Nick is recruiting. Singers, dancers and actors are all invited to an open audition tomorrow to join the gang, and make friends with the likes of Spongebob Squarepants, the Teenage Mutant Ninja Turtles and Wallace and Gromit. The Pleasure Beach, earlier this month named the best amusement park in the UK by website TripAdvisor, welcomes around 7.8million visitors each year. And Team Nick manager Jason Taylor says his staff need to be ready and willing to meet every single one of them. "It's not often that we hold open auditions like this, but we like to refresh the team as we enter peak season," he said. "We are looking for singers, dancers and actors and people with big, larger than life personalities, because you're going to be hanging out with Spongebob, dancing with Dora and high-fiving the Teenage Mutant Ninja Turtles. "Team Nick members are the face of the Pleasure Beach and the first people that many of our visitors see when they arrive." As well as the Nickelodeon characters, Team Nick has a daily show, and ‘meet and greet’ or ‘clap and wave’ sessions with the Pleasure Beach’s own characters and family favourites Wallace and Gromit. "Team Nick get pulled from pillar to post," Jason said. "Everywhere you see people, you see Team Nick. "On Team Nick, people are always coming up to you, and if you're standing with Spongebob your own personality needs to be able to shine of its own accord, so that you're not lost to the character." Auditionees don't have to have performance experience, so long as they have confidence in front of a crowd and can entertain. Jason added: "We like to think that there are cameras on the Pleasure Beach at all times and we are being broadcast live to the world. Our team is the face of Nickelodeon in the UK, and it's a major global brand to be representing." Follow NickALive! on Twitter, Tumblr, Google+, via RSS, on Instagram, and/or Facebook for the latest Nickelodeon Land UK News and Highlights! Nickelodeon, the number-one entertainment brand for kids and families, has announced and confirmed in the following press release, from Nickelodeon's Kids and Family Press Site, NickPress.com, the exciting news that Nick USA will premiere and show "A Fairly Odd Summer", the networks brand-new summer original television movie, on Saturday 2nd August 2014 at 8:00pm ET/PT; 7:00pm C! 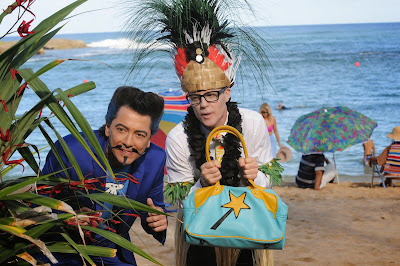 Santa Monica, Calif., – (July 29, 2014) – Nickelodeon hits the sandy beaches of Hawaii in the all-new original TV movie, A Fairly Odd Summer airing Saturday, August 2 at 8 p.m. (ET/PT). 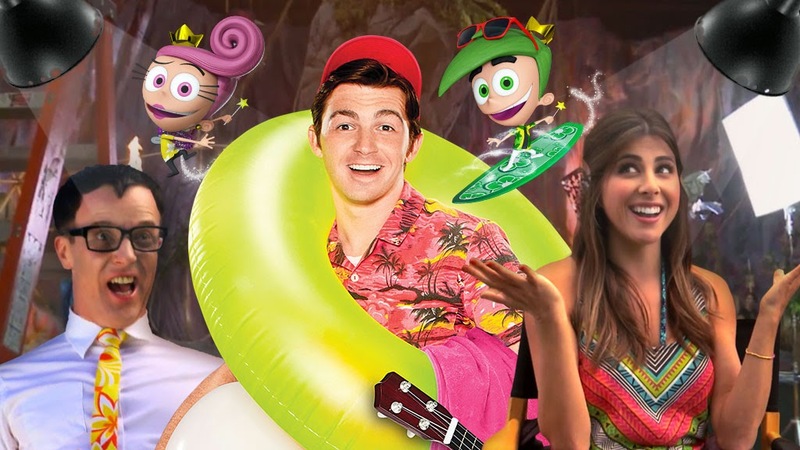 Drake Bell (Drake & Josh) and Daniella Monet (Victorious) reprise their starring roles as Timmy Turner and Tootie in this third installment of The Fairly OddParents franchise. A Fairly Odd Summer follows Timmy on a daring mission to the tropical beaches of Hawaii to save his summer, his family, Tootie and all of fairy kind from the claws of evil anti-fairy Foop, played by Scott Baio (See Dad Run). Summer's here and the whole Fairly Odd gang is off to Hawaii… everyone except Timmy. Now a responsible adult, Timmy's new job in Fairly World is to watch over the precious Abracadabrium, the source of all fairy magic. But when Timmy decides to bring the Abracadabrium with him to Hawaii, he catches the evil eyes of Anti-fairy Foop and Denzel Crocker (David Lewis, Man of Steel), who form an evil alliance and steal the Abracadabrium to rule the world. A Fairly Odd Summer is based on the animated series and characters created by Butch Hartman. It is executive produced by Hartman and Scott McAboy. The movie is directed by Savage Steve Holland. Teleplay by Hartman and Holland and story by Hartman. A Fairly Odd Summer is produced by Pacific Bay Entertainment. Follow NickALive! on Twitter, Tumblr, Google+, via RSS, on Instagram, and/or Facebook for the latest Nickelodeon TV Movies and A Fairly Odd Summer News! 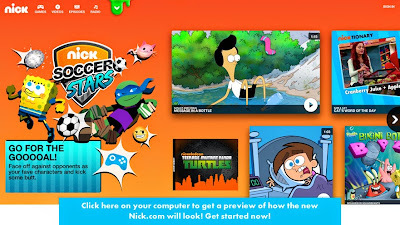 Nickelodeon USA has today, Wednesday 30th July 2014, unveiled the networks brand-new look official website, nick.com! Nickelodeon's revamped official website, fresh out of beta, brings all the fun in the Nick App to Nick.com, and features a endless stream of totally awesome stuff allowing visitors to play more games and watch tons more videos than ever before, and see the Nickelodeon stars and characters they love. The all-new look Nick.com also features aweslime polls and a giant Do Not Touch button. Just watch out for surprises! 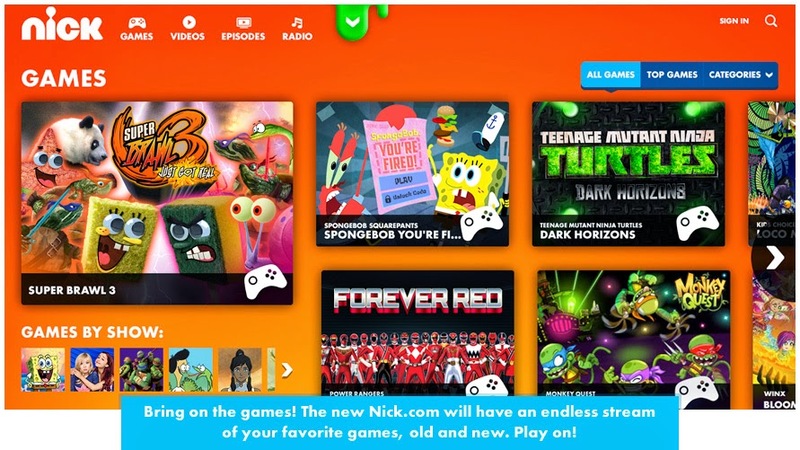 In Nickelodeon's latest Nick.com update, all of your favorite Nickelodeon characters, games and videos are sticking around, with even more fun to discover. But now, visitors get to see them in a totally new way! 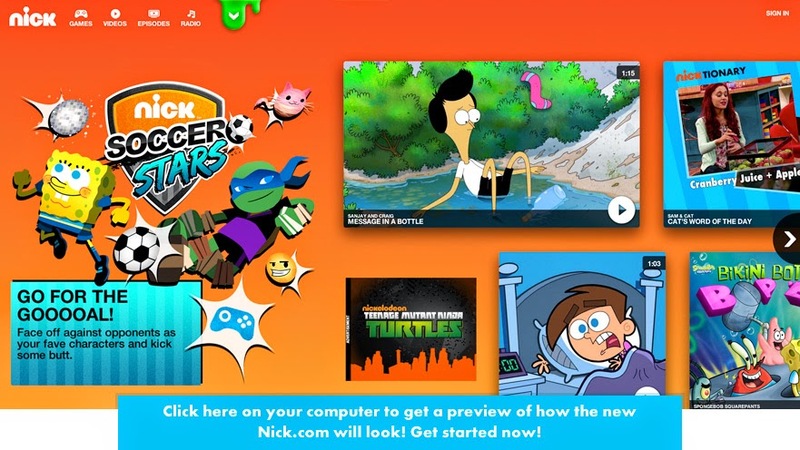 The all-new Nick.com features revamped official websites for your favorite Nick shows, such as "SpongeBob SquarePants", "Every Witch Way" and "Sam & Cat", and upcoming shows "Henry Danger" and "Nicky, Ricky, Dicky & Dawn". There are endless games and videos, old and new, to play. Plus, Nick are giving visitors a BIGGER and BETTER way to watch online videos! 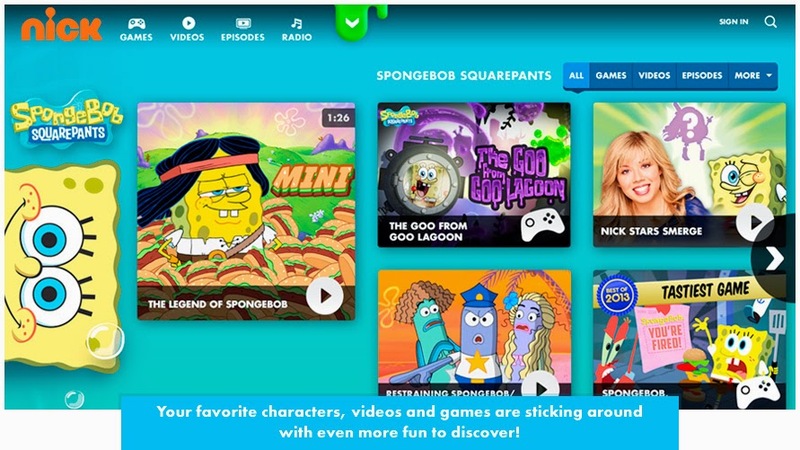 The possibilities are endless on Nickelodeon's all-new website! To celebrate the launch of their all-new website, Nickelodeon USA has also unveiled the networks official "Welcome to the Wayne" show website, which features information and a trailer for Nick's upcoming brand-new digital series, giving fans a first look before Nick.com debuts the all-new web series. Following the sneak-peek preview, Nick.com will premiere new chapters (episodes) of "Welcome to the Wayne" online every Monday! The new-look Nick.com has also unveiled a exclusive sneak-peek online streaming video of the next brand-new episode of "The Legend of Korra - Book 3: Change", episode 9 "The Stakeout", which Nick USA will debut online on Friday 1st August 2014 at 12:00pm (noon) ET/PT! The new Nick.com will also give NickHeads a whole new way to connect with their friends. Soon, visitors will be able to chat with their pals in the all-new Message Boards! But there's still time for users to save all the stuff they've made in The Nickelodeon Club and the current Nick.com Message Boards. You can find some important steps on how you can save your fan fiction, posts, Club avatars and more here on NickALive!. Make sure that you save now, so that you don't lose all of your great work later! Follow NickALive! 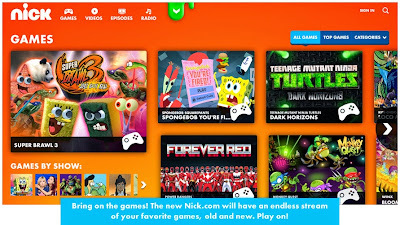 on Twitter, Tumblr, Google+, via RSS, on Instagram, and/or Facebook for all the latest Nickelodeon and Nick.com News! Nickelodeon, the number-one entertainment brand for kids and families, has today, Tuesday 29th July 2014, announced in the following press release, from TVByTheNumbers.com, the exciting Nickelodeon News that, continuing to build on its pipeline of creator-driven, comedy-focused content, Nickelodeon has placed a 26-episode order for "100 Things To Do Before High School", a brand-new live-action comedy series from "Big Time Rush" creator and executive producer Scott Fellows! The half-hour, single-camera series follows three best friends as they navigate the highs and lows of middle school, with the help of a bucket list of adventures that help them overcome class cliques, terrifying bullies and clueless teachers. The series will begin production this Fall (Autumn) in Los Angeles. Isabela Moner (CJ Parker), Jaheem Toombs (Fenwick) and Owen Joyner (Crispo) in "100 Things To Do Before High School". Photo via Variety.com. "100 Things To Do Before High School" will join Nick's robust, live-action slate that features recently announced series "Henry Danger", which follows a 13-year-old boy who lands a part-time job as the sidekick-in-training to a superhero; "Nicky, Ricky, Dicky & Dawn", centering on the Harper quadruplets who have only two things in common - their parents and their birthday; and "Bella and the Bulldogs" which follows a perky head cheerleader whose life in Texas takes an unexpected twist when she becomes the new quarterback for her school team. "Henry Danger" and "Nicky, Ricky, Dicky & Dawn" will premiere on Nick USA in September 2014. With real life and teen drama awaiting her after 8th grade graduation, CJ Parker (Isabela Moner) has only a short time left to make the most of her middle school years. Together with her two lifelong best friends Fenwick (Jaheem Toombs) and Crispo (Owen Joyner), she is determined to get the most out of this time, using an ever-expanding list of challenges as a guide. For this group, growing up means trying everything and taking chances while they still can. Santa Monica, Calif., (July 29, 2014) – Continuing to build on its pipeline of creator-driven, comedy-focused content, Nickelodeon announced today a 26-episode order of 100 Things To Do Before High School, a new live-action comedy series from Big Time Rush creator and executive producer Scott Fellows. The half-hour, single-camera series follows three best friends as they navigate the highs and lows of middle school, with the help of a bucket list of adventures that help them overcome class cliques, terrifying bullies and clueless teachers. The series will begin production this fall in Los Angeles. 100 Things To Do Before High School will join Nick’s robust, live-action slate that features recently announced series Henry Danger, which follows a 13-year-old boy who lands a part-time job as the sidekick-in-training to a superhero; Nicky, Ricky, Dicky & Dawn, centering on the Harper quadruplets who have only two things in common -- their parents and their birthday; and Bella and the Bulldogs which follows a perky head cheerleader whose life in Texas takes an unexpected twist when she becomes the new quarterback for her school team. Henry Danger and Nicky, Ricky, Dicky & Dawn will premiere this September. "Crossing that bridge into high school is a milestone and a journey filled with taking chances, expressing yourself and building friendships," said Russell Hicks, Nickelodeon's President of Content Development and Production. "Kids will be able to relate to this coming of age comedy that embodies that crazy and sometimes magical time in their lives." Scott Fellows created and executive produced Nickelodeon’s hit TV series Big Time Rush, Ned's Declassified School Survival Guide and DHX Media's Johnny Test. Previously, he worked as a staff writer for the second, third and fourth seasons of The Fairly OddParents, and received an Emmy nomination for Outstanding Music and Lyrics for the show in 2003. Fellows’ earlier writing credits also include episodes of Weinerville, U to U, 100 Deeds for Eddie McDowd and Doug. Nickelodeon, now in its 35th year, is the number-one entertainment brand for kids. It has built a diverse, global business by putting kids first in everything it does. The company includes television programming and production in the United States and around the world, plus consumer products, online, recreation, books and feature films. Nickelodeon's U.S. television network is seen in almost 100 million households and has been the number-one-rated basic cable network for 18 consecutive years. For more information or artwork, visit http://www.nickpress.com. Nickelodeon and all related titles, characters and logos are trademarks of Viacom Inc. (NASDAQ: VIA, VIA.B). Follow NickALive! on Twitter, Tumblr, Google+, via RSS, on Instagram, and/or Facebook for all the latest Nickelodeon, 100 Things To Do Before High School, Henry Danger, Nicky, Ricky, Dicky & Dawn and Bella and the Bulldogs News! It's sizzling down at The Entertainer this Summer, so stay cool with Nickelodeon's Summer of Fun! To celebrate Summer 2014, Nickelodeon UK, the number one commercial kids TV network in the UK, and The Entertainer Ltd., the United Kingdom's largest independent toy retailer, have partnered to launch a brand-new initiative called Nickelodeon Summer of Fun! As part of Nickelodeon Summer of Fun, kids are invited to visit participating The Entertainer shops throughout the UK where they can pick up their favourite Nickelodeon toys, from "Teenage Mutant Ninja Turtles" and "SpongeBob SquarePants" toys to toys based on Nick Jr. UK's "Dinosaur Train" and Nickelodeon Movies and Paramount Pictures upcoming "Teenage Mutant Ninja Turtles" movie! Whilst visiting their nearest The Entertainer store, kids can also enjoy activities, take part in a fantastic character quest, and meet and greet their favourite Nickelodeon stars, including the Teenage Mutant Ninja Turtles and SpongeBob SquarePants! NickHeads can also map out their adventure and win 1 of 10 aweslime Nickelodeon iPad Mini's! To enter, simply follow the trail to thetoyshop.com/nick and thetoyshop.com/nickcomp or enter in store! Additionally, The Entertainer will also be giving NickHeads the chance to win great prizes from their Nickelodeon lines, including a "SpongeBob SquarePants" Bundle (including a SpongeBob scooter and slinky) in fantastic weekly Facebook competitions! Plus, "Power Rangers Megaforce" will be visiting The Entertainer West Bromwich on Saturday 16th August 2014, The Entertainer Swindon on Saturday 27th September 2014, and The Entertainer St Albans on Saturday 4th October 2014, and Bea Spells-a-lot from Lalaloopsy will be visiting The Entertainer Bullring on Saturday 16th August 2014, The Entertainer Kingston on Saturday 23rd August 2014, and The Entertainer Coventry on Saturday 30th August 2014! There's buckets of fun for everyone with Nickelodeon's Summer of Fun, only at The Entertainer! The competition is open to entrants who are 15 years or younger on the 6th September 2014. Winners will be picked at random from correct entries. The winners will be notified by email or phone after the closing date. The consent of a child's parent/guardian should be indicated on the entry form. The competition is not open to anyone associated with the promotion or employees of The Entertainer and Nickelodeon. The Entertainer reserves the right to use winners entries as appropriate. Winners name will be available after October 16th 2014 by sending a SAE marked envelope with "Summer of Fun competition" to the promoters address below. PROMOTER: The Entertainer, Boughton Business Park, Bell Lane, Little Chalfont, Buckinghamshire, HP6 6GL: Please do not send entries to this address. To celebrate the launch of Nickelodeon UK and Nick Jr. UK on the NOW TV Entertainment Pass, the official NOW TV Community website has unveiled a exclusive Nickelodeon competition called "NOW TV Nickelodeon Swap Shop" in which they'll reward your kids' creativity with great Nickelodeon prizes! Entering is easy - especially for mums and dads. All you have to do is take a picture of your child's best drawing, featuring their favourite Nickelodeon character, and send it to NOW TV either in a tweet or as a comment under the competition Facebook post. 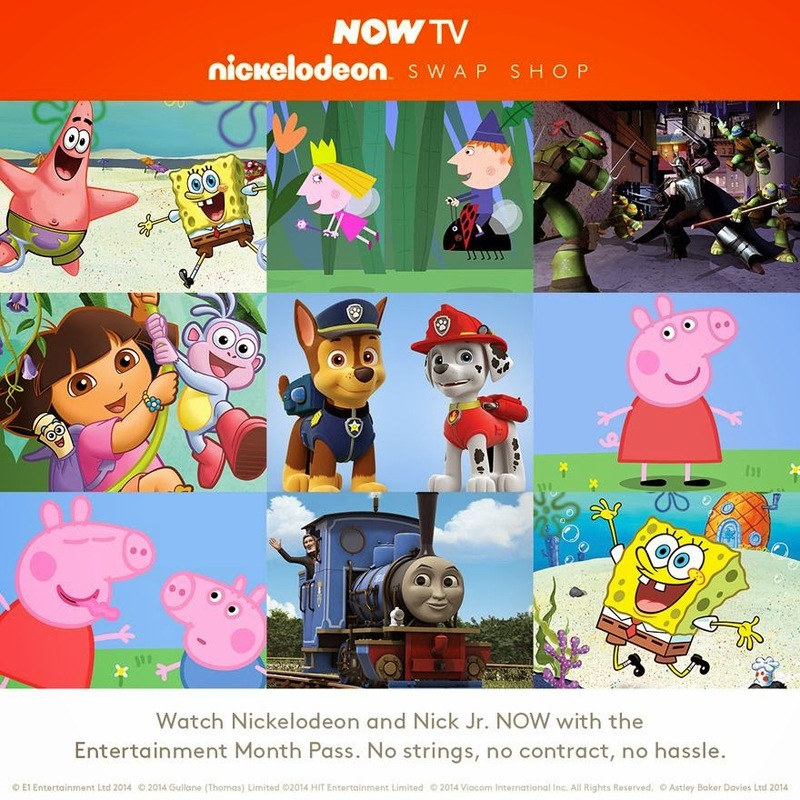 NOW TV will regularly post themes on their official Facebook and Twitter profile pages for a little inspiration - from "SpongeBob SquarePants", the "Teenage Mutant Ninja Turtles", "Sanjay and Craig" and "The Fairly OddParents" to "Dora the Explorer", "Ben & Holly", "Thomas and Friends" and "Peppa Pig", there are so many fun characters to choose from! Make sure you follow NOW TV on Facebook and/or @NOWTV on Twitter and include the special custom hashtag #NickelodeonNOWTV when you post your entry. NOW TV will get their panel of expert judges to choose their top ten drawings which NOW TV will put in a 'best of' album on the NOW TV Facebook page. Everyone who sends NOW TV a drawing will receive a fantastic Nickelodeon digital activity pack and NOW TV's top ten winners will also get a aweslime Nickelodeon goody bag and a NOW TV Entertainment Month Pass - the perfect prize for kids to come home to after a long summer's day! This competition closes on Sunday 17th August 2014 at 10:30pm, so break out the coloured pencils and get drawing! Be creative, be colourful and remember, in the words of Pablo Picasso - "Every child is an artist"! The NOW TV Entertainment Month Pass already offers customers a simple, instant and contract-free way to access top subscription TV channels for just £4.99 a month. From today, viewers can now also watch their favourite Nickelodeon and Nick Jr. shows live and on-demand, just in time for the summer holidays! With popular preschool shows such as "Peppa Pig", "Dora the Explorer", "Lily's Driftwood Bay", "Zack & Quack", "Ben & Holly's Little Kingdom", "Bubble Guppies" and "Paw Patrol", Nick Jr. is perfect for keeping the little ones entertained with daily adventures. For older children and teens, Nickelodeon offers a great line-up of entertaining and funny shows, including "Sam & Cat", "SpongeBob SquarePants", "iCarly", "Victorious", "The Haunted Hathaways", "Every Witch Way" and "The Thundermans" – all available to watch live and on demand. The NOW TV Entertainment Month Pass already lets customers watch hit shows on 10 of the UK's best TV channels including Sky 1, Sky Living, Sky Atlantic, Sky Arts 1, Discovery, MTV, Comedy Central, GOLD, Disney and FOX. It's available on the NOW TV Box, PS3, PS4, Roku, LG Smart TV, Xbox 360, Android, PC and Mac, iPad and iPhone. 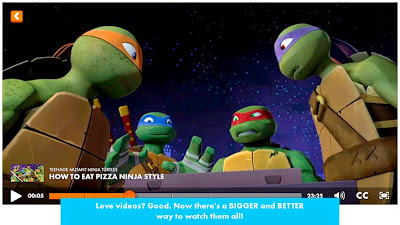 The licensing industry news website Licensing.biz is reporting the Booyakasha TMNT news in the following article that Nickelodeon Australia and New Zealand has partnered with Showtime Attractions to manage and expand Nickelodeon's hit "Teenage Mutant Ninja Turtles" property in Australia and New Zealand! Firm will manage bookings for non-ticketed character shows, meet and greets and more across regions. Nickelodeon has partnered with Showtime Attractions to manage and expand Teenage Mutant Ninja Turtles in Australia and New Zealand. From September 1st, Showtime will be responsible for managing bookings for non-ticketed character shows in shopping centres, meet and greet appearances, as well as activity and craft zones at small and large scale events. "Our Teenage Mutant Ninja Turtles property is one of the strongest in the Nickelodeon global portfolio and we want to continue building the characters' momentum and star power with exciting and unique opportunities in Australia and New Zealand," said Jihee Nam, VP and general manager for Nickeloden Australia and New Zealand. "Working with Showtime Attractions will not only broaden our resources, reach and opportunities, but also reinforce Nickelodeon's position as the leader in providing quality entertainment for kids and families across multiple platforms." Keith Brown, MD for Showtime Attractions, added: "We are excited to be partnering with Nickelodeon on one of their leading properties. 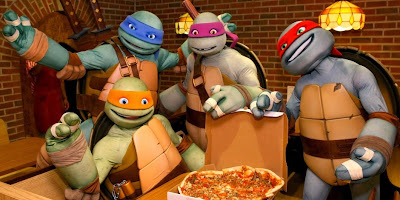 We have had previous experience working with the Teenage Mutant Ninja Turtles and understand the influence and effect these characters have on kids and families. "We are looking forward to growing and supporting this powerful entertainment portfolio and strengthening Nickeloden's live events arm in Australia and New Zealand." Follow NickALive! on Twitter, Tumblr, Google+, via RSS, on Instagram, and/or Facebook for the latest Nickelodeon Australia & New Zealand and Teenage Mutant Ninja Turtles News! Nickelodeon Suites Resort has announced the exciting news in the following press release, from Business Wire, that Nickelodeon Suites Resort (also known as the Nick Hotel / Nickelodeon Hotel), the only Nickelodeon-themed resort of its kind in the world, will host two exciting "Power Rangers Super Megaforce" weekends during October 2014! The first weekend-long celebration will be held between Friday 17th and Sunday 19th October 2014 and will feature appearances by the actors from the "Power Rangers Super Megaforce" TV series. The second themed weekend, which will take place between Friday 24th and Sunday 26th October 2014, will be jam-packed with "Power Rangers Super Megaforce" fun with all six Rangers costumed characters, including the brand new Silver Ranger! Nick Hotel's "Super Megaforce" weekends of adventure and excitement will feature a variety of super-charged activities for guests. In addition to the "Power Rangers" weekends, the hotel's annual Halloween "spooktacular", Nick-Or-Treat, will occur each weekend in October 2014! Guests can trick-or-treat across the property with some of their favorite Nickelodeon friends, including SpongeBob SquarePants and Dora the Explorer. They are also encouraged to bring their own costume or borrow one from the hotel for the event. Guests can book their Power Rangers Super Megaforce weekend by visiting NickHotel.com/PowerRangers. ORLANDO, Fla.--(BUSINESS WIRE)--Nickelodeon Suites Resort, the only Nick-themed resort of its kind in the world, will host two exciting Power Rangers Super Megaforce weekends this October. The first weekend-long celebration will be held on October 17-19 and will feature appearances by the actors from the Power Rangers Super Megaforce TV series. The second themed weekend, which will take place on October 24-26, will be jam-packed with Power Rangers Super Megaforce fun with all six Rangers costumed characters, including the brand new Silver Ranger. A super-charged Power Rangers lunch, featuring "Train Like a Ranger" sessions with all six Power Rangers Super Megaforce characters. Power Rangers-themed activities and crafts. A sneak peek screening of an episode of Power Rangers Super Megaforce. In addition to the Power Rangers weekends, the hotel’s annual Halloween “spooktacular”, Nick-Or-Treat, will occur each weekend in October. Guests can trick-or-treat across the property with some of their favorite Nickelodeon friends, including SpongeBob SquarePants and Dora the Explorer. They are also encouraged to bring their own costume or borrow one from the hotel for the event. "So far, 2014 has been filled with incredible experiences for our guests. Hosting the Power Rangers Super Megaforce live-action cast and two Power Rangers weekends in October is one more way we are bringing one of kind experiences to the hotel," said Tony Aslanian, director of sales and marketing for Nickelodeon Suites Resort. "We have several great stay packages to compliment these special event weekends that kids and families are sure to enjoy." Additional photography is available by visiting Nick Hotel on Flickr. Located in the heart of Orlando's tourism district, Nickelodeon Suites Resort, otherwise known as the Nick Hotel, is much more than a place for guests to lay their heads at night. From two over-the-top pool complexes with slides and flumes, to live entertainment and character breakfasts featuring Nickelodeon's beloved characters, to a multimillion dollar 4-D Theater, to the colorfully themed kid suites and gallons upon gallons of slime, Nick Hotel offers non-stop activity from dawn to dusk for the entire family any time of the year. For more information about the Nick Hotel, visit www.nickhotel.com or call (877) NICK-KID. 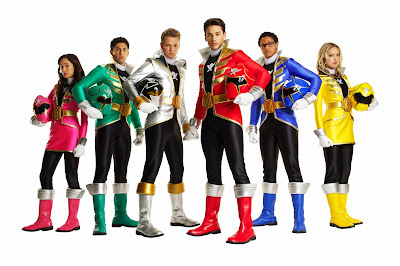 Power Rangers Super Megaforce is the current season of the iconic franchise on television. The series, which airs Saturdays at 12 p.m. (ET/PT) on Nickelodeon, delivers super mega action, humor, excitement and entertainment, in addition to the core themes of friendship, teamwork, fitness and helping others. Power Rangers Super Megaforce introduces all-new morphing abilities, allowing the Rangers to morph into any team of Power Rangers from the past. The Power Rangers franchise is helmed by Haim Saban, who created and produced the original Mighty Morphin Power Rangers series in 1993. SCG Power Rangers LLC, which licenses and merchandises the Power Rangers brand, is an affiliate of Saban Brands. For more information, visit www.powerrangers.com. The secret’s out! Alli Simpson will be performing at SLIMEFEST!! Our bewitching NEW show will cast a spell on you!! To celebrate the Aussie and Kiwi debut of "Every Witch Way", Nick AUNZ's official website, nickelodeon.com.au, has unveiled the channels official EWW webpage, which features show information about Nickelodeon's magical new series and character bios of the students of Iridium High - Emma Alonso (Paola Andino), Andi Cruz (Daniela Nieves), Maddie Van Pelt (Paris Smith), Daniel Miller (Nick Merico), Sophie Johnson (Autumn Wendel), Mac Davis (Mavrick Moreno), Katie Rice (Denisea Wilson), Gigi Rueda (also known as Miss Information; Zoey Burger), Diego Rueda (Tyler Alvarez), Jax Novoa (Rahart Adams), and siblings Tommy Miller (Jason Drucker), Melanie Miller (Jackie Frazey) and Robbie Miller (Louis Tomeo), also known as The Terrible Three. Additionally, Nickelodeon Russia and CIS (Nickelodeon Россия and СНГ) recently premiered Nick's brand-new spellbinding series, locally titled "Колдовская история", which translates into English as "Spellbound Story", on Monday 21st July 2014, and is currently showing all-new episodes weekdays at 5:15pm, with each episode repeated at 11:00am the following weekday. Nickelodeon South East Asia has also recently launched their official local "Every Witch Way" website, which could indicate that Nick SEA will start to air Nick's magical new series soon! Follow NickALive! on Twitter, Tumblr, Google+, via RSS, on Instagram, and/or Facebook for the latest Nickelodeon International and Every Witch Way News! Viacom Inc. (NASDAQ: VIAB, VIA), the parent company of the Nickelodeon brand, and the American multinational financial services corporation The NASDAQ OMX Group, Inc. have announced the exciting news in the following press release, from GlobeNewswire, that, to celebrate Nickelodeon USA starting to premiere and show Nickelodeon Preschool's brand-new animated educational preschool series "Dora and Friends: Into the City!" 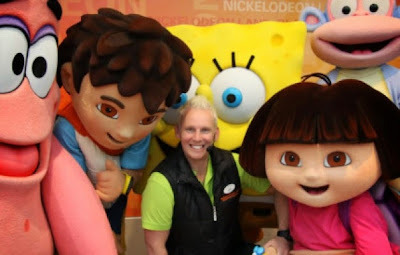 from Monday 18th August 2014, Viacom Inc. & Nickelodeon's iconic Dora Marquez character from Nick's all-new preschool series "Dora and Friends" will visit the NASDAQ MarketSite in Times Square on Tuesday 29th July 2014! Additionally, in honor of the occasion, 13-year old Nickelodeon Voice Actor Fátima Ptacek, the voice of Nickelodeon's iconic Latina heroine Dora in "Dora and Friends" and "Dora the Explorer", will ring the Closing Bell at a ceremony at the NASDAQ MarketSite in New York's famous Times Square! "Dora and Friends: Into the City!" (20 episodes) is a brand-new animated preschool series featuring the iconic character Dora The Explorer in all-new adventures, with new friends and a new interactive curriculum. The series is set in a fictional, pan-Latino city called Playa Verde, where Dora is 10 years old, in school and at the center of a peer group that works together to give back to the community — having both real-life and magical adventures along the way. As always, Dora is an adventurer, a good friend and problem-solver. "Dora and Friends" helps teach Spanish and introduces new educational areas to the curriculum, including social-emotional skills like community service and peer relationships. In each episode, Dora and her friends go on adventures, whether it's rescuing a lost stuffed monkey for a little boy in the hospital or returning a ring to an ancient Mayan Princess. Dora uses the help of a Map App on her smartphone and a magical charm bracelet to navigate the city and overcome obstacles along the way. In this new series, Dora continues to show she is a good friend, leader, and problem-solver with a group of new friends – Kate, Naiya, Emma, Alana and Pablo -- who share her passion for learning and exploring. 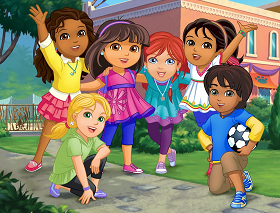 "Dora and Friends" is created by Chris Gifford and Valerie Walsh Valdes ("Dora the Explorer"). July 28, 2014 10:00 ET | Source: The NASDAQ OMX Group, Inc.
Viacom Inc. (Nasdaq:VIA) & Nickelodeon's iconic Dora character from the brand-new animated educational preschool series "Dora and Friends: Into the City!" will visit the NASDAQ MarketSite in Times Square. In honor of the occasion, 13-year old Fátima Ptacek, the voice of Dora in "Dora and Friends" and "Dora the Explorer" will ring the Closing Bell. "Dora and Friends: Into the City!" features the beloved Latina heroine in all-new adventures, with new friends and a new interactive curriculum. 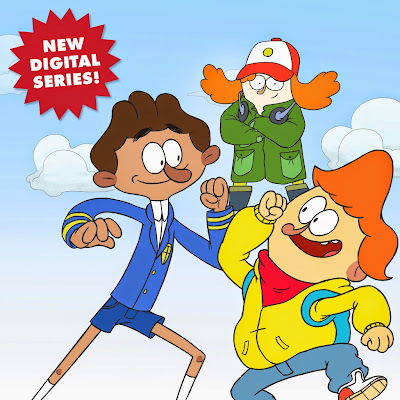 The series debuts Aug. 18 on Nickelodeon. Nickelodeon, now in its 35th year, is the number-one entertainment brand for kids. It has built a diverse, global business by putting kids first in everything it does. The company includes television programming and production in the United States and around the world, plus consumer products, online, recreation, books and feature films. Nickelodeon's U.S. television network is seen in almost 100 million households and has been the number-one-rated basic cable network for 19 consecutive years. For more information or artwork, visit http://www.nickpress.com. Nickelodeon and all related titles, characters and logos are trademarks of Viacom Inc. (Nasdaq:VIA) (Nasdaq:VIA.B). Viacom is home to premier global media brands that create compelling television programs, motion pictures, short-form video, apps, games, consumer products, social media and other entertainment content for audiences in more than 160 countries and territories. Viacom's media networks, including MTV, VH1, CMT, Logo, BET, CENTRIC, Nickelodeon, Nick Jr., TeenNick, Nicktoons, Nick at Nite, Comedy Central, TV Land, SPIKE, Tr3s, Paramount Channel and VIVA, reach approximately 700 million television subscribers worldwide. Paramount Pictures, America's oldest film studio, is a major global producer and distributor of filmed entertainment. Follow NickALive! on Twitter, Tumblr, Google+, via RSS, on Instagram, and/or Facebook for the latest Nickelodeon Preschool, Dora the Explorer, Dora and Friends and Viacom News! Welcome to a special San Diego Comic-Con edition of NickALive! 's Nickelodeon News Round-Up! In celebration of Nickelodeon attending Comic-Con International: San Diego 2014, below is a selection of news and highlights from the fourth day, Sunday 27th July 2014, of Nick at SDCC '14, plus a few extras! Don't forget to check out Part One and Part Two of NickALive! 's Nickelodeon at Comic-Con International: San Diego 2014 round-up! Contest: Take the Nick Shop Superfan Challenge - submit your best fan photo for a chance to win a exclusive "Teenage Mutant Ninja Turtles" Rockmaster Limited Guitar! ($250 Value)! Enter here! The official Nickelodeon online store, Nick Shop, is currently giving away free keychains with purchases from their Comic-Con International: San Diego 2014 store! Watch videos of Comic-Con International: San Diego 2014 attendees at Nickelodeon's voice-over booth where visitors can record their own scene from a Nickelodeon animated show at NickAtSDCC.com and Nick's animated GIF booth at twitter.com/TheBoscoFeed! To celebrate and promote Nickelodeon USA starting to premiere and show the networks brand-new original comedy series "Nicky, Ricky, Dicky & Dawn" soon as part of their Fall (Autumn) 2014 programming highlights, Nick.com has launched the channels official "Nicky, Ricky, Dicky & Dawn" show website, which you can visit here at nick.com/shows/nicky-ricky-dicky-and-dawn! Nick USA's official NRD&D website, nick.com/nrdd features a 'About' webpage featuring information about Nick's all-new sitcom, a 'Meet the Harpers' photo gallery featuring pictures of the Harper family, a exclusive online streaming video featuring Nickelodeon USA's first teaser trailer for their brand-new show, and Nickelodeon's official message board/forum, where fans can talk about Nick's upcoming show! For the Harper family, four heads are definitely better than one. Siblings Nicky, Ricky, Dicky and Dawn have almost nothing in common, besides their birthdays and their parents. Being quadruplets means four times the fun and four times the drama! Sibling rivalry runs deep in this family, but this quad squad can solve any problem when they work together. At the end of the day, it's all about love. "Nicky, Ricky, Dicky & Dawn", greenlit for 13 episodes, is the story of a 10-year-old girl Dawn Harper (Lizzy Greene), a born leader whose sibling rivalry with her three brothers is heightened by the fact that they are quadruplets who have wildly different personalities. Aidan Gallagher ("Modern Family") plays the germaphobic Nicky Harper, joined by Casey Simpson ("The Goldbergs") as the overachieving and unbelievably smart Ricky Harper, and Mace Coronel ("Bold and the Beautiful") as the pint-sized ladies man, Dicky Harper. Brian Stepanek ("Two and a Half Men") and Allison Munn ("What I Like About You") star as the Harper parents. Even though they seem different on the outside, there couldn't be a more tight-knit group. The series is created by Matt Fleckenstein ("Wendell & Vinnie", "iCarly", "Victorious") and executive produced by Fleckenstein and Michael Feldman ("See Dad Run"). Are you ready for a fantastic foursome? Welcome to a special San Diego Comic-Con edition of NickALive! 's Nickelodeon News Round-Up! In celebration of Nickelodeon attending Comic-Con International: San Diego 2014, below is a selection of highlights from the third day, Saturday 26th July 2014, of Nick at SDCC '14, including all the epic news Nickelodeon announced and more! * A clip of this was shown, revealing the turtles looking for a missing Mikey. They discover Leatherhead being tortured by the Krangs and is then eventually being chased by some creature before they are rescued by Mikey. Mikey claims to have been lost in Dimension X for months now. Nickelodeon will be holding a "The Legend of Korra" video game rooftop party and signing at Stingaree San Diego today, Saturday 26th July 2014, hosted by Activision. For event entry, pick up your an LoK lanyard (while they last!) at the Nickelodeon booth! 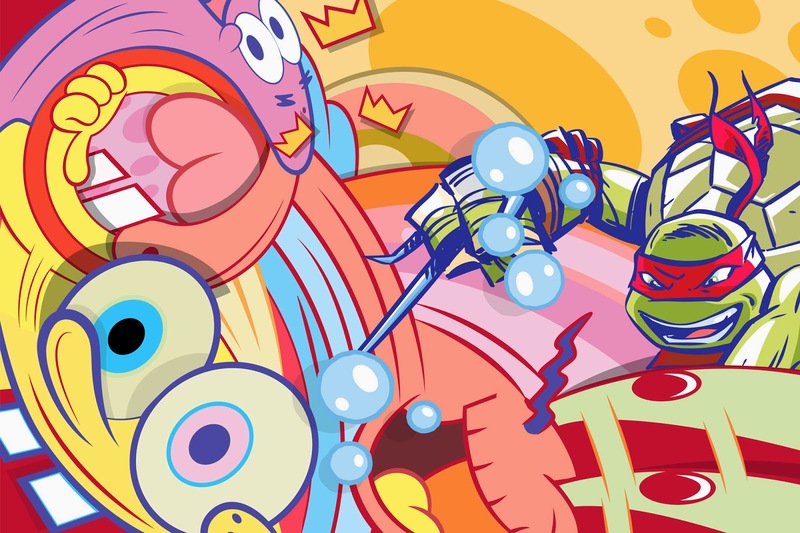 Nickelodeon will also be holding a special TMNT scavenger hunt for fans at SDCC! Follow along @TMNTMaster for clues to spots throughout downtown! Follow NickALive! on Twitter, Tumblr, Google+, via RSS, on Instagram, and/or Facebook for the latest Nickelodeon at Comic-Con International: San Diego 2014 News and Highlights! The entertainment news website Fanlala.com has unveiled a exclusive video clip featuring Nickelodeon USA's first teaser trailer for Nickelodeon's upcoming brand-new original comedy series "Nicky, Ricky, Dicky & Dawn", which you can watch in the online streaming video below! Fanlala.com is also reporting in the following article that Nickelodeon has announced that Nick USA will start to premiere and show "Nicky, Ricky, Dicky & Dawn", Nick's all-new sitcom, as part of their Fall (Autumn) 2014 programming highlights! Nickelodeon USA's first "Nicky, Ricky, Dicky & Dawn" promo introduces viewers to the plot of Nick's all-new show. [Dawn: But I'm the oldest! Nicky, Ricky, Dicky & Dawn, the brand-new series is coming soon, only on Nick! "Nicky, Ricky, Dicky & Dawn", greenlit for 13 episodes, is the story of a 10-year-old girl Dawn Haley (Lizzy Greene), a born leader whose sibling rivalry with her three brothers is heightened by the fact that they are quadruplets who have wildly different personalities. Aidan Gallagher ("Modern Family") plays the germaphobic Nicky, joined by Casey Simpson ("The Goldbergs") as the overachieving and unbelievably smart Ricky, and Mace Coronel ("Bold and the Beautiful") as the pint-sized ladies man, Dicky. Brian Stepanek ("Two and a Half Men") and Allison Munn ("What I Like About You") star as the Haley parents. The series is created by Matt Fleckenstein ("Wendell & Vinnie", "iCarly", "Victorious") and executive produced by Fleckenstein and Michael Feldman ("See Dad Run"). Even though they seem different on the outside, there couldn't be a more tight-knit group. If you thought twins could be a handful when it comes to keeping a family together, Nickelodeon is setting out to prove that you ain't seen nothing yet! Nicky, Ricky, Dicky, and Dawn is a brand new comedy series coming from Nickelodeon. The show is about a set of quadruplets with wildly different personalities. Nicky has some odd quirks, Ricky is unbelievably smart, Dicky has the cool thing down, and Dawn is a born leader. Even though they seem different on the outside, there couldn't be a more tight-knit group. To get your first look at this crew of ten-year-olds, check out the trailer below. And if you can’t wait for them to join your family, then mark your calendars for this fall. We can’t wait for Nicky, Ricky, Dicky, and Dawn to join the Nick family! In the meantime, make sure you remember to tune in to tonight's sneak peek of Henry Danger only on Nickelodeon! Nickelodeon Films Pilot For Potential New Comedy Series "100 Things... To Do Before High School"
The casting and auditioning news websites Television Show Auditions and CastingCallHub.com are reporting the very exciting Nickelodeon News that Nickelodeon and Uptown Productions recently produced a pilot episode for a potential brand-new Nickelodeon comedy television series called "100 Things... To Do Before High School"! "100 Things To Do Before High School" is a half-hour (30 minute) sitcom that tells the hilarious coming of age story of a studious 12 year old girl named C.J., who begins to panic about her upcoming high school years and is unwilling to let middle school go by without making the most of it. Galvanized by a dream, she wants to take chances and be free, and fearing that if she stays on her current stuffy path she will be incapable of letting loose and truly enjoying her four years of high school, and that high school will prove to be a miserable four years marked only by tedious homework, no social life and no friends, C.J. and her friends make a pact and a list of 100 things that they want to experience before her time as a high school student begins. Two-time Daytime Emmy Awards nominee Jonathan Judge directed the pilot episode of "100 Things...To Do Before High School" from a script written by Primetime Emmy Award nominee Scott Fellows, who also executive produced. Judge earned his Emmy nods in the category of Outstanding Directing in a Children's Series for the popular Nickelodeon preschool series "LazyTown" and "Blue's Clues". He also has been nominated for two Directors Guild of America DGA Awards for Outstanding Directorial Achievement in Children's Programs for the Nickelodeon TV movies "Swindle" and "Camp Fred". Scott Fellows is the creator and executive producer of Nickelodeon's "Ned's Declassified School Survival Guide" and "Big Time Rush" and The WB's "Johnny Test". The single camera comedy begun shooting in March, 2014 in Los Angeles. For the pilot of "100 Things... To Do Before High School", Nickelodeon sent out a Nickelodeon Casting Call for actors of all ages to play series regulars, guest stars, possible recurring, and day player roles. Follow NickALive! on Twitter, Tumblr, Google+, via RSS, on Instagram, and/or Facebook for all the latest Nickelodeon and 100 Things... To Do Before High School News! "Sam & Cat" Officially Cancelled?